I wanted to be able to offer clients something special to remember the important milestones of having a baby. Thus the nine month project was born. (har har) I designed this lifestyle package with mother’s in mind who want to remember the entire experience. The project begins with a maternity session, then a newborn session, and ends with a year old shoot. For more details please visit my packages page. + When should we schedule a newborn session? Newborn sessions should be scheduled whithin two weeks of the babie's birth. Or within 5-10 days. 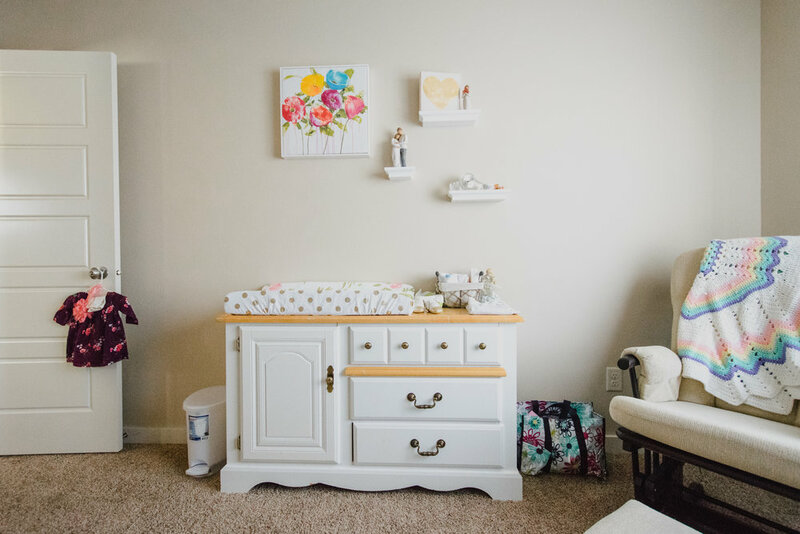 + Where do newborn sessions take place? Your newborn session takes place in the comfort of your own home, just crank the heat up to make it nice and warm for baby, about 85 degrees does the trick. I also try to set up by your biggest source of natural light near a window or sliding glass door. + Are family pictures included in newborn sessions? Yes! This is a very special moment in your family's life. Make sure to include parents and older siblings! + How long is a session? Your newborn session will run about three hours possibly depending on feeding and comforting your baby. All other baby sessions will run about an hour or two.